We all have dreams that we fantasise about. ‘Fantasise’. Most of the time that’s about all we do. Trapped by dogma and other people’s expectations, we often feel that too much has to happen. So, what do we do? Nothing. We don’t even try. Perhaps at best we tell ourselves “someday in the future I’ll get to it”. It’s understandable, it can be complicated to get what you truly want and there are so many distractions pulling us in different directions. That’s why it is so impressive to meet someone who has broken out of that dogma, fought against doubt and swum against the current for a consistently long period of time to fulfill their vision. 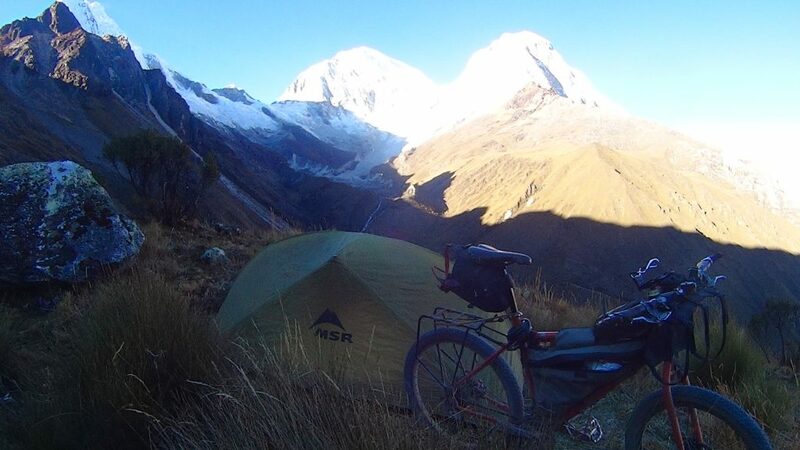 For six months he planned and meticulously measured before laying the first brick, camping out under the stars on his newly acquired real estate with the backdrop of Peru’s highest peaks watching over him. Set in the iconic and pristine wilderness of the Cordlllera Blanca the quietness is deafening; with only his loyal dog to keep him company he must have experienced a roller coaster of emotions. It took time to get it perfect but his dream slowly and steadily unfolded. He and anyone who goes to stay in his lodge can now reap the rewards. 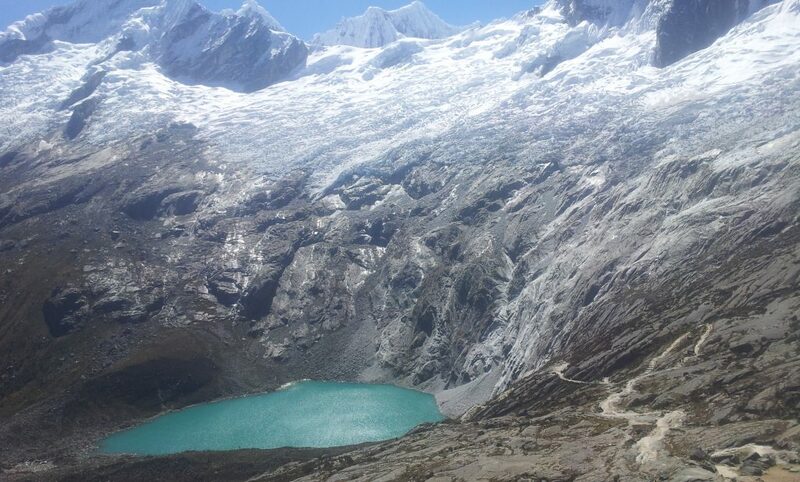 Nearly all the rest of the available accommodation options are situated three hours away in the city of Huaraz; Llanganuco Mountain Lodge is uniquely set very close to the entrance of Huascarán National Park and the staggering Llanganuco lakes. 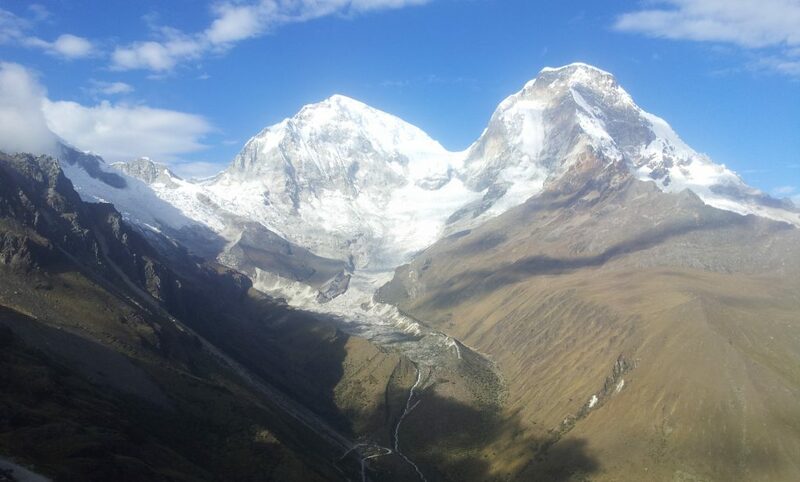 It is therefore also within short distance of the very popular Santa Cruz trek, Laguna 69 and Pisco mountain. 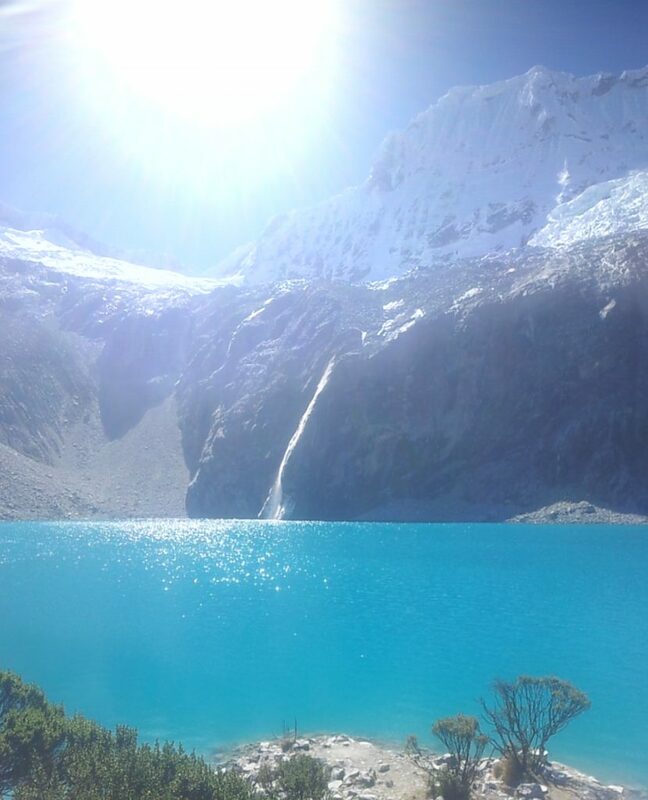 At 3500m it is a perfect place to help with acclimatisation and is about as peaceful and beautiful as you could possibly imagine. 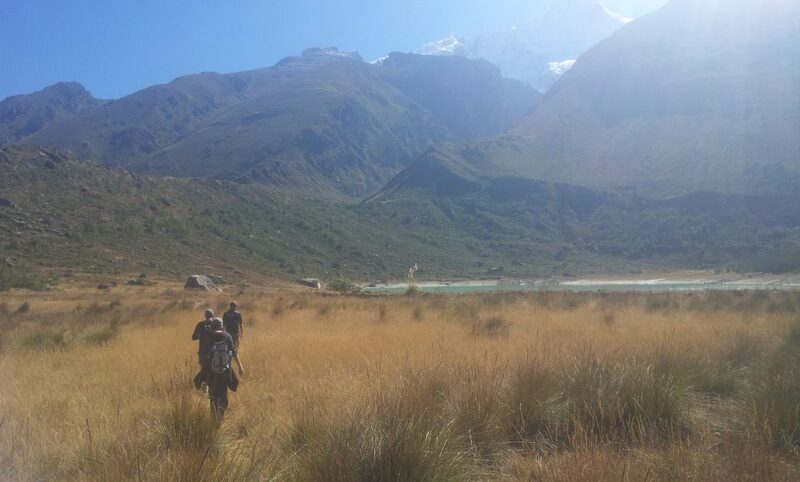 Good food and luxury rooms and, of course, world class hikes in its back garden, what more could you ask for? Oh yes, this all at the same time as helping the local community by providing employment and educational opportunities. It was a privilege to stay there and meet the entertaining and charismatic Charlie who seemed to always be very attentive with his guests. 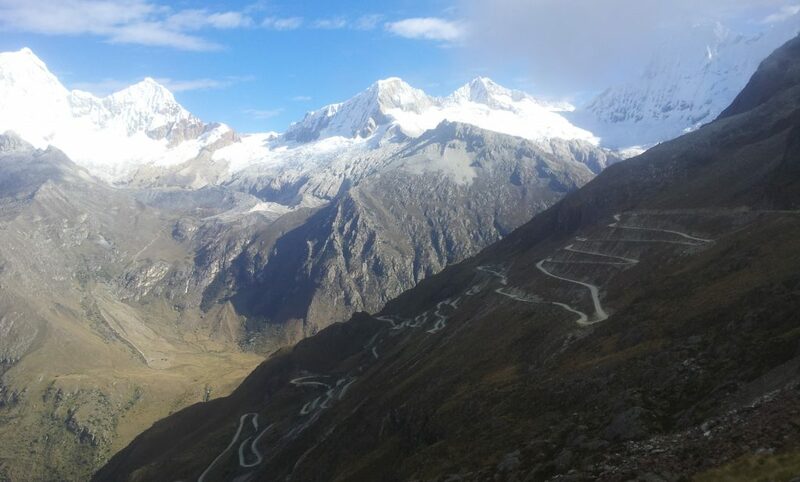 Only two rideable roads connect the west and east sides of the Cordillera Blanca; crossing on dirt through Portachuelo Llanganuco was spectacular (paved Punta Olimpica is the not too shabby alternate). 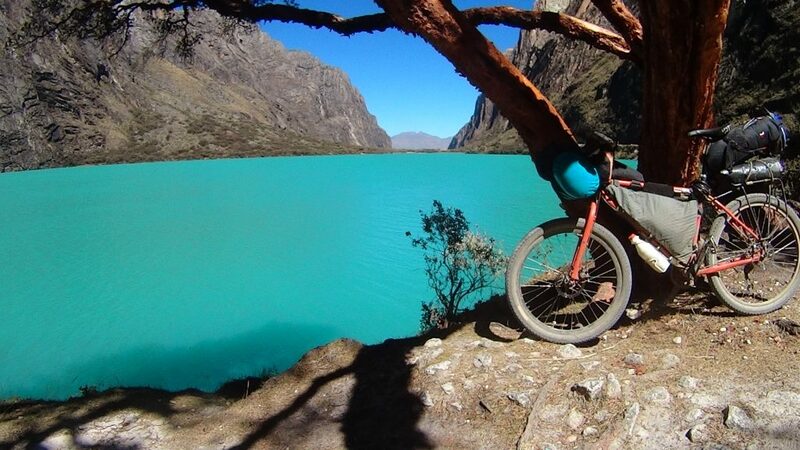 To see Laguna 69 on the way through I left my bike at Cebollabamba with the porters (access on the descent before the first lake via the corner of the last switchback) where I also camped. After Laguna 69 I hiked directly across to Pisco basecamp which holds some risk of rockfall but seemed ok. Cherlie’s lodge became my base for a couple of weeks whilst I took the opportunity to the amazing Cordillera Blanca including hiking Santa Cruz trek, up to the basecamp of Huascarán and climbing Pisco mountain (5752m). 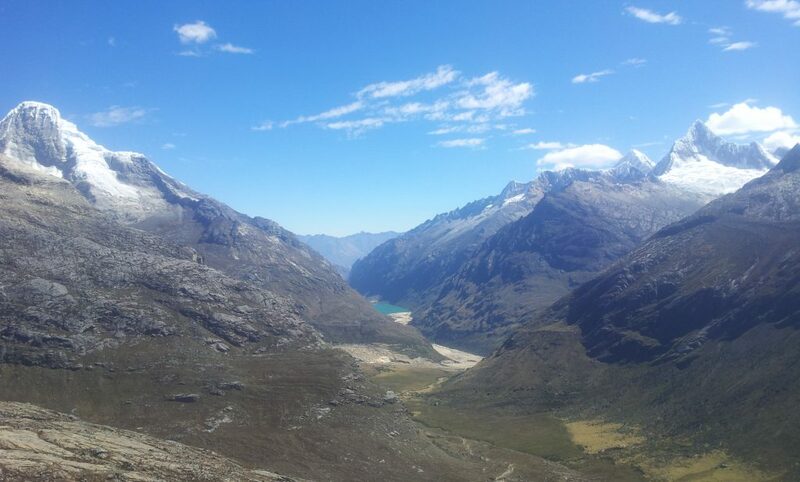 Llanganuco Lakes – taken from Portachuelo Llanganuco. Quite a sight. 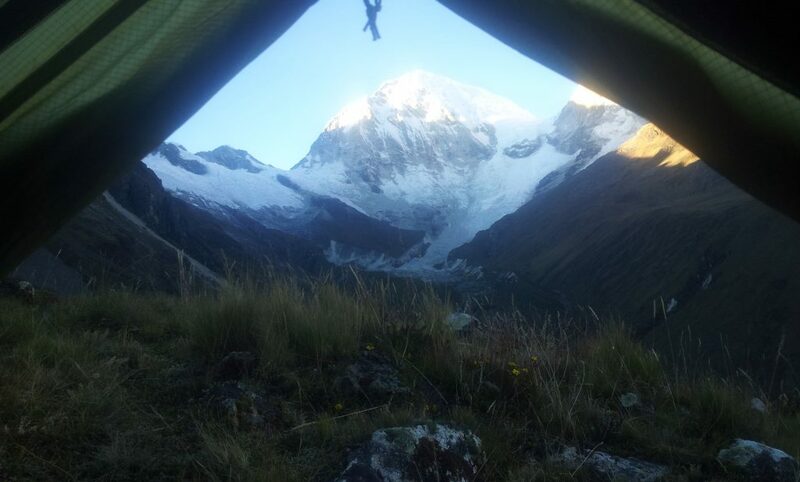 Morning view – Huascarán Sur – 6768m, Peru’s highest. 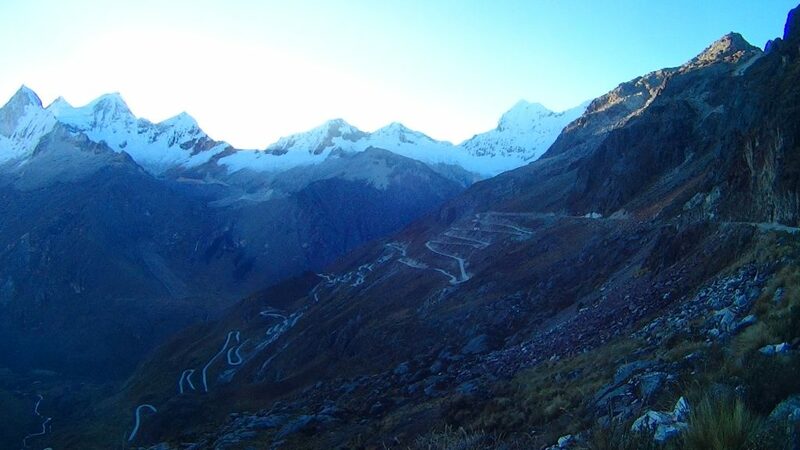 Taken from Portachuelo Llanganuco pass. Pisco mountain: middle left. Laguna 69. 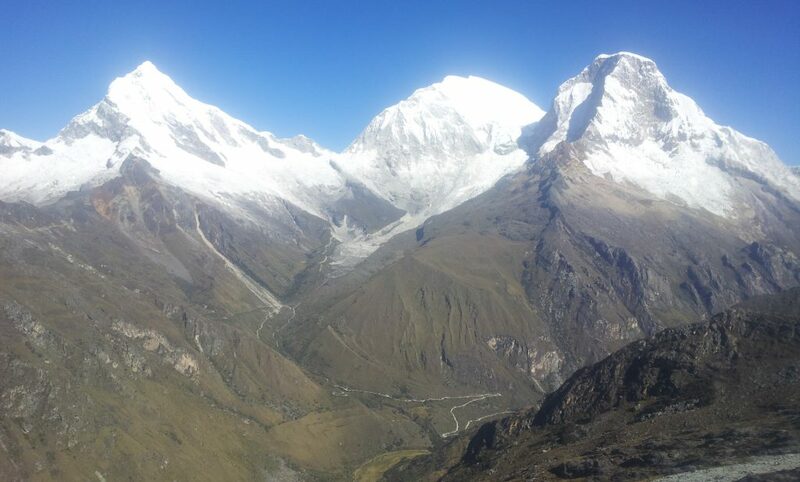 2+hours fast hiking from Cebollabamba. 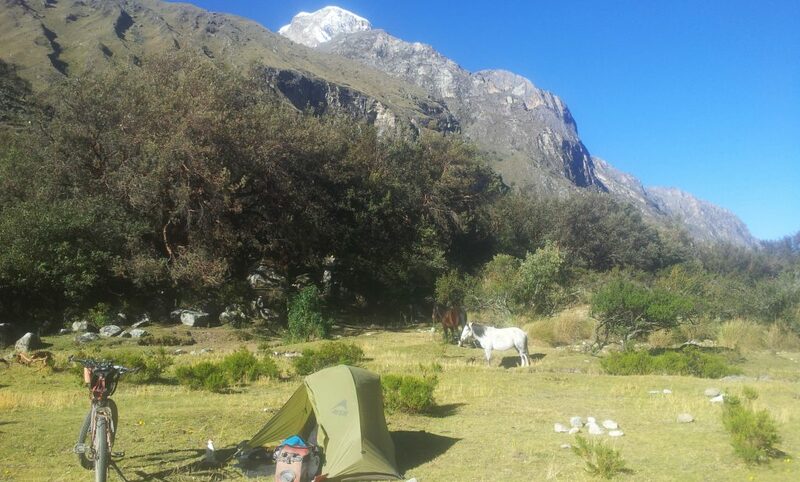 My camp at Cebollabamba. Officially camping here is no longer allowed (July 2016). You are supposed to camp down by the buses, which is absurd. Rules for the sake of rules, apparently. 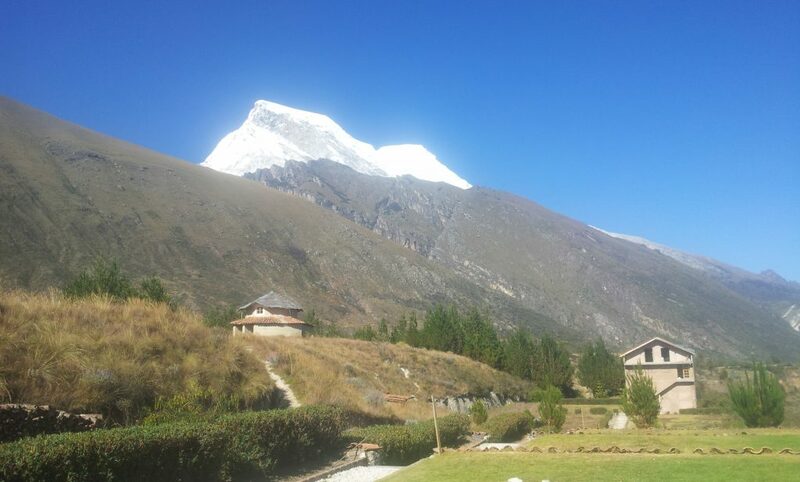 Llanganuco Mountain Lodge with Huascarán peaks. Yes oh yes. 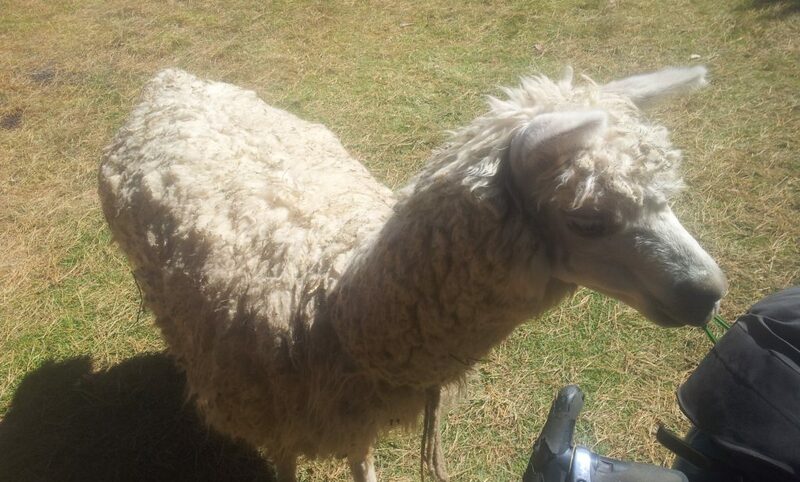 Alpaca welcoming committee. One of two that freely roam. 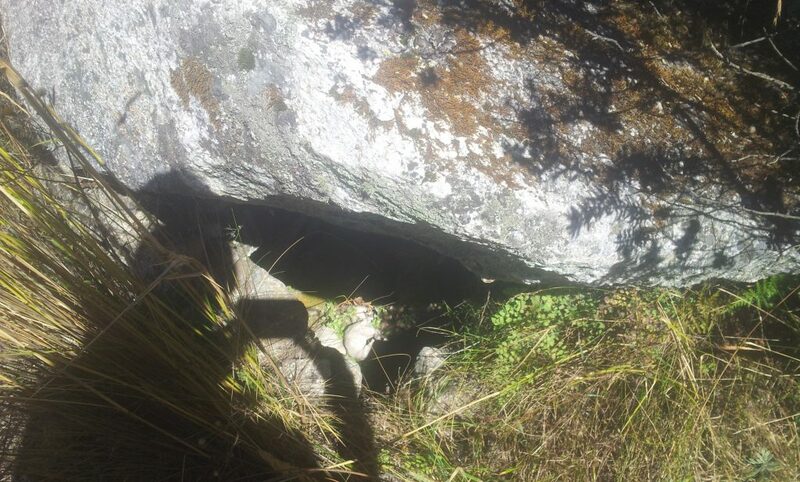 By chance, part of the land also contains a pre-Inca burial site. Difficult to have too many photos of these peaks. 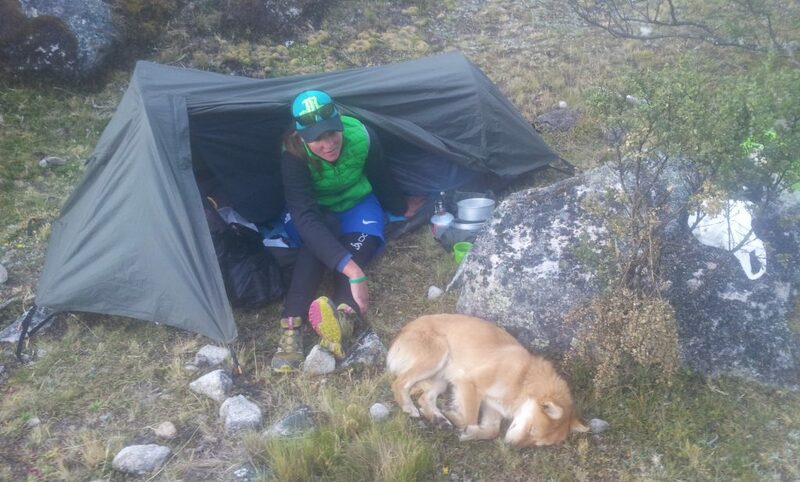 My Santa Cruz hiking partner Christelle and a cute dog that sought company with us. It seemed to live off the scraps of hikers. Another from Punta Union pass, Santa Cruz trek. 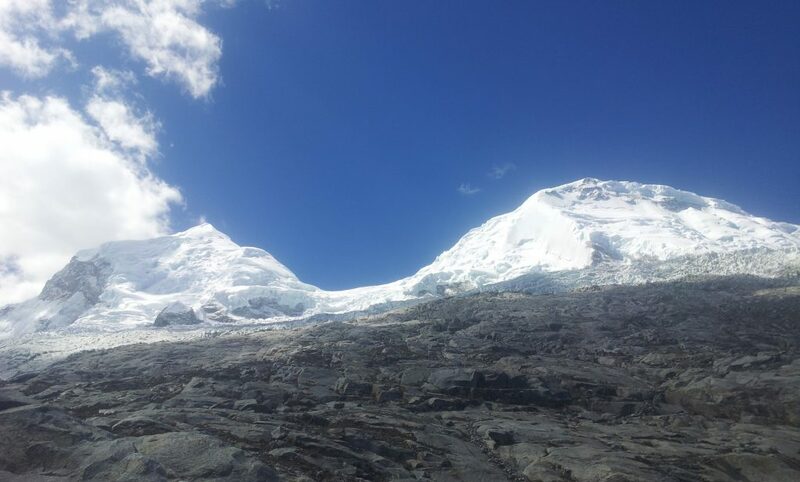 One more shot of the Huascarán peaks from Huascaran basecamp. 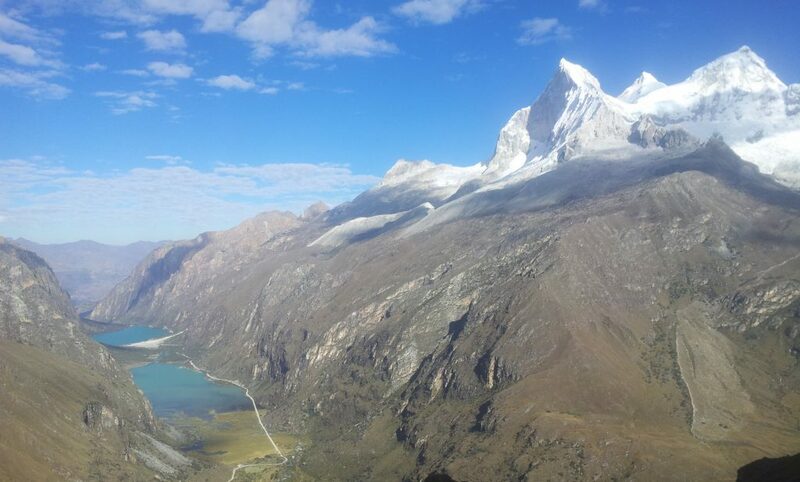 Huascaran Sur is the highest on the right. Climbing this peak is unfortunately quite dangerous since there are some high risk avalanche zones that need to be passed.